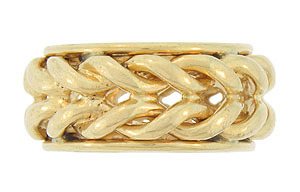 Two twisting braids of polished 14K yellow gold encircle the face of this unique vintage wedding band. 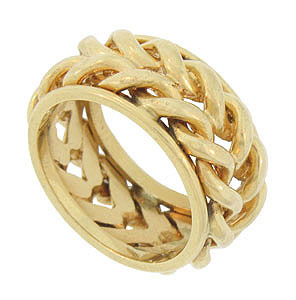 The elegant braids are framed by flattened rings of gold. 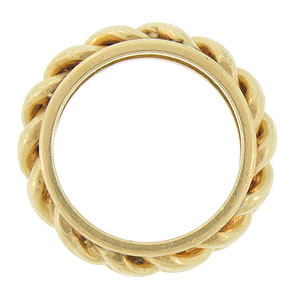 The wedding ring measures 9.90 mm in width. Circa: 1950. Size 6 1/4. We cannot re-size.